We at Sacred Heart School believe in experiential learning. Learning through experiences. As such, we’ve formulated a number of activity clubs and centres within our premises to allow students to and embrace the experiences of life at the same time, ensuring their overall development. 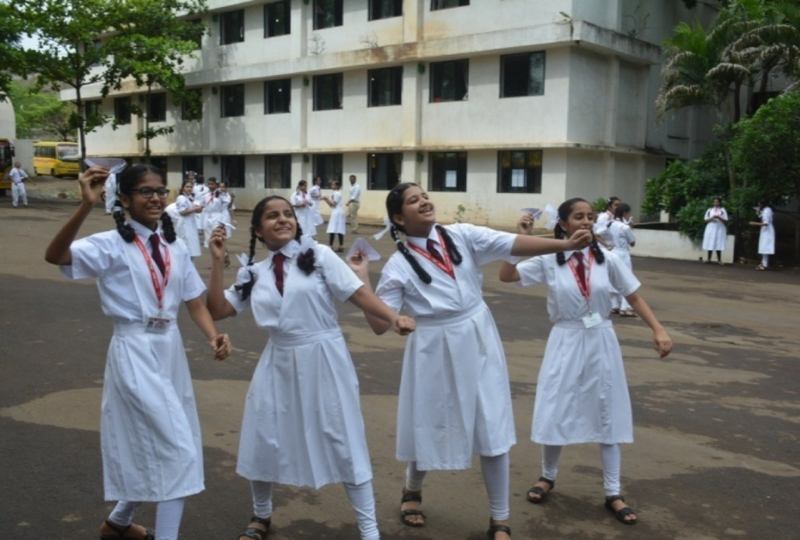 As an academic institute, Sacred Heart School centers on developing the intellectual, psychological, sociological, economical, communicational and inter-personal skills of the students. We provide our students with avenues for pursuing excellence not only in their curricular activities but also in co-curricular and extra-curricular activities such as visual and performing arts, sports and games, life-skills and imbibing in them the sportsmanship and the team spirit. Our emphasis is on providing integral education to every student so that they may excel in every walk of life. We also groom the students to be responsible citizens of the country by fostering the essence of patriotism and nation building at large through implementing the pedagogical core components of education. 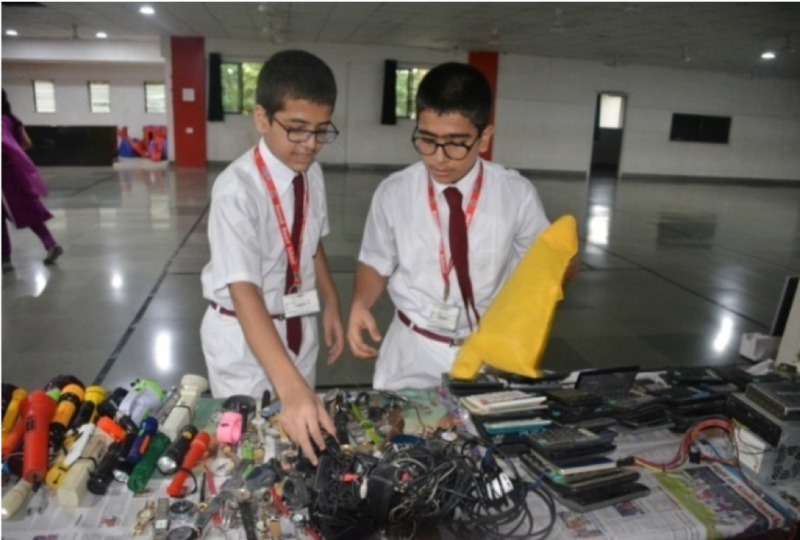 E-waste campaign was initiated this year by our school in Kalyan and the nearby suburbs. Students went door to door bringing awareness in the masses about the harmful and ill-effects of not disposing e-waste in a right way. A generous 1192.5 kilograms of e-waste was collected by our students and sent to “Green World Recycling” organization that processed the waste in an eco-friendly manner. Theatre Education is significant for a well-rounded youth development. It helps the students to strengthen their artistic skills, acting skills, communication skills, builds self-confidence and paves the way for imagination, collaboration, cooperation, empathy, tolerance, social awareness and aesthetic appreciation. Our students learn dramatization skills in school’s Theatre of Innovation where they learn the art of fine tuning their drama skills under the able guidance of the experts. Sacred Heartians have had wonderful opportunities to perform on a grander platform in the past. 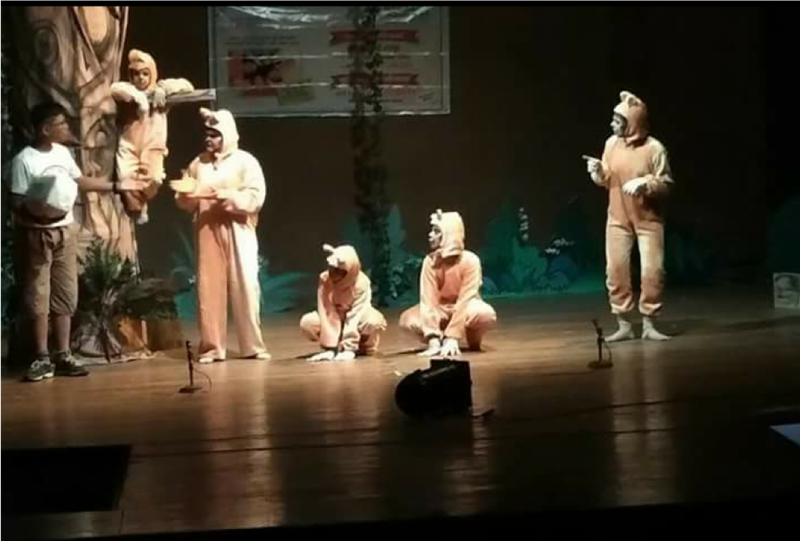 Most recently, they have performed at Yashwantrao Natyamandir, Matunga. Our tiny tots are multitalented stage performers. 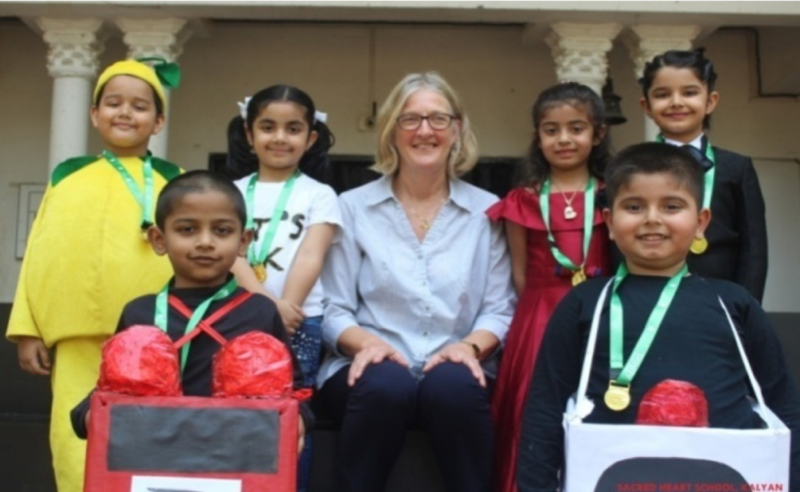 This year our pre-primary students has appeared for Trinity Star Award programme, where they have showcased their caliber in spoken English, followed by seamless, beautiful and well-coordinated ballet performances. 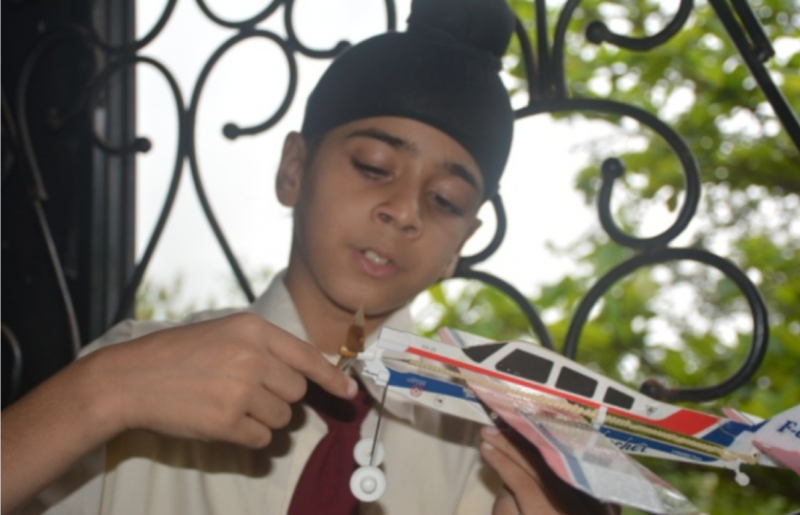 Sacred Heart organized an Airplane activity for its students, where they have learnt about Airplane movement like roll, yaw and pitch while having the hands-on experience. It turned out to be a both fun and learning experience at the same time. Our school also encourages our students to learn about Aero-modeling. Special Aero-modeling periods were arranged throughout the academic year where in they got more information and knowledge about gliders, airplanes, paper planes, rubber band planes. Our students experienced Newton’s law of Motion through their experiment handling airplanes. 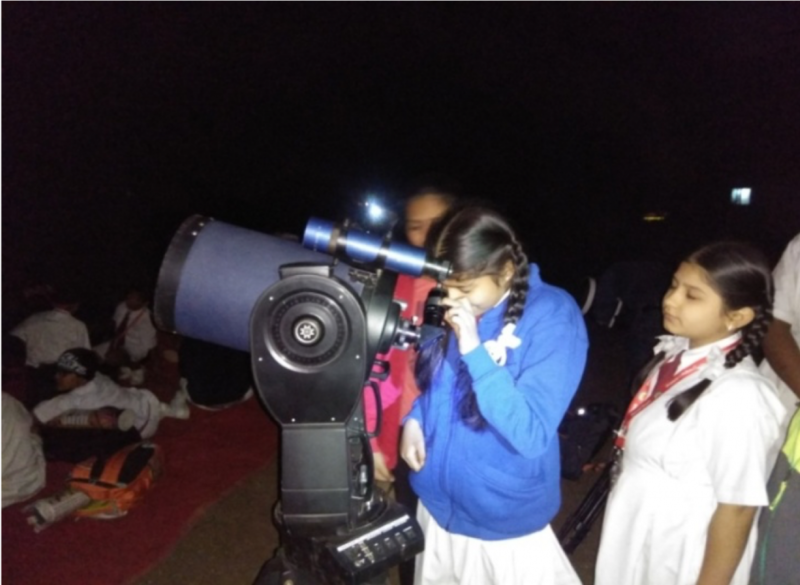 Our students have been given an opportunity to explore the celestial bodies in the sky through Sacred Heart School’s ‘Space Watchers Activity’. They had an observation of celestial objects like Venus, Moon, Jupiter and Saturn through an 8 inch Meade Cassegrain Telescope. They also witnessed all four moons of Jupiter in a straight line.